Megan McKeon in foreground and Madison McGill run neck and neck as they sprint toward the finish. Turkey Trot, Turkey Trot, Run Run Run! For years this chant has started each heat of the annual Arbor Park Turkey Trot, and this year was no exception. 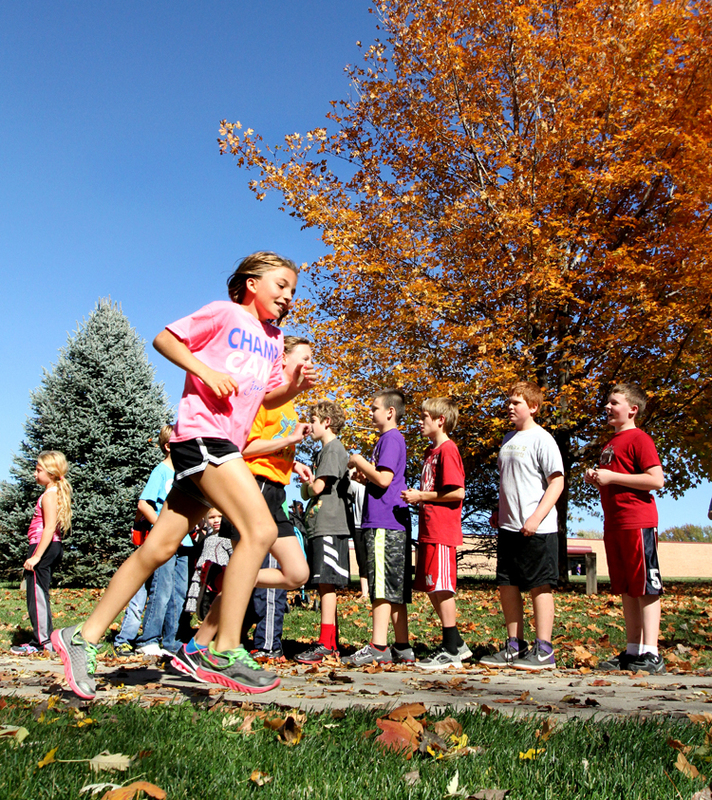 The students trained by running a mile after school each week for six weeks.The event is a fun run, not a race. The students help each other when needed, and cheer each other on. The event not only encourages students to learn the many benefits of running, but also serves as as community service project. One student from each class will be selected to join physical education teacher Sandy Moore in delivering five turkeys to Joseph’s Coat for families in need. 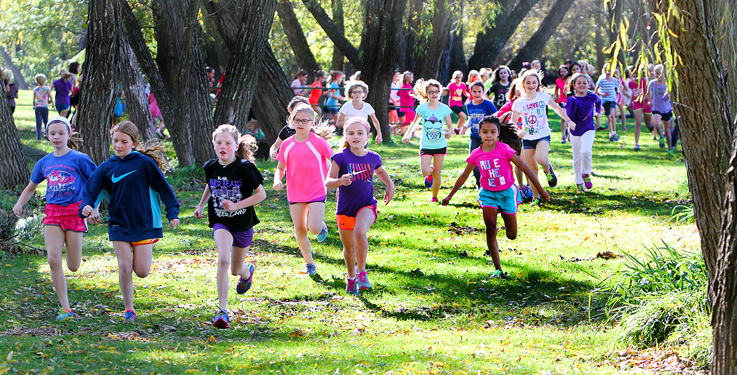 Fourth Grade girls run in the annual Turkey Trot at Arbor Park. Over 200 students participated. 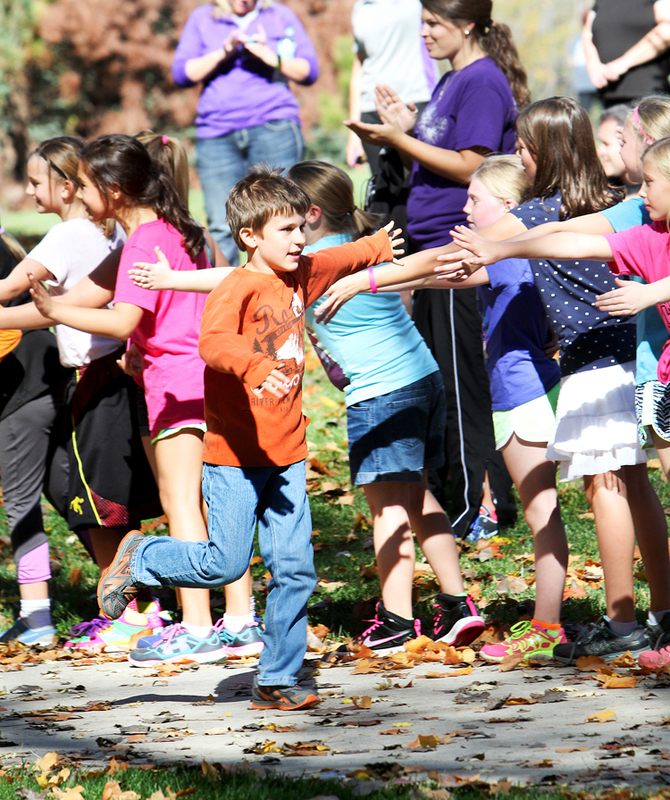 Classmates greet fourth grader Connor Mahaffey as he runs toward the finish. 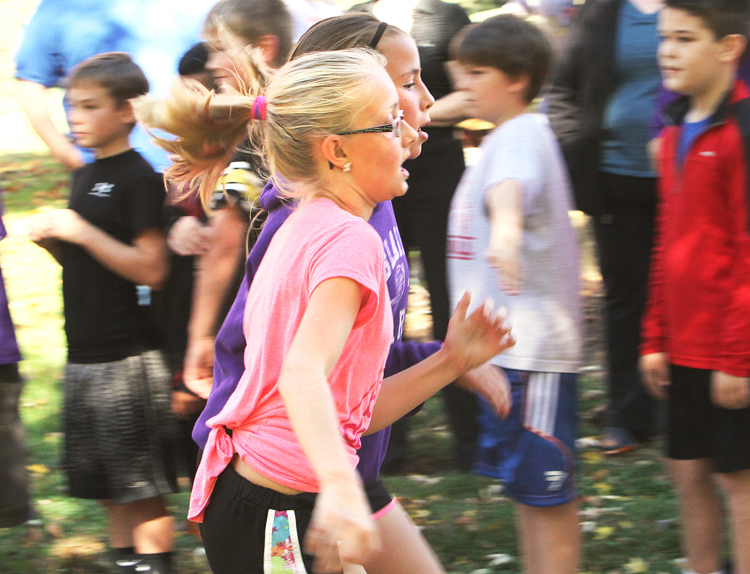 Samantha Murry keeps up a nice pace as she runs toward the finish during the fifth grade girls race. Madeline Dirkschneider in foreground and Jerzie Janning run toward the finish of the mile race. Fifth grader Josh Rogge concentrates on his running as he passes his cheering classmates. Elias Cortez sprints past cheering classmates. Fourth grade girls Turkey Trot.